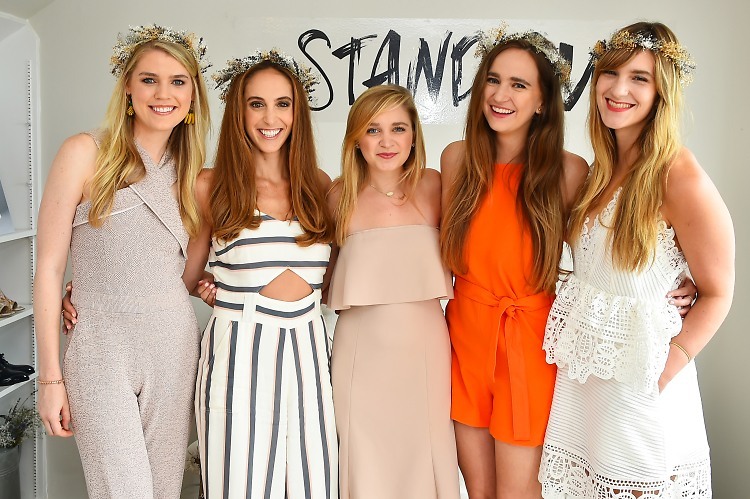 On Saturday, August 5th, Christy Doramus of @CrownsbyChristy hosted a summer brunch in partnership with Nine West at a private residence in Sagaponack, NY. Supporting Nine West's new #StandOut campaign, the event focused on highlighting the brand's new shoe collection inspired by strength, power and beauty of women across the world. Attendees were invited to mingle with like-minded influential women who are defining what it means to #StandOut and working to make a difference within their own communities. During the event, guests were invited to try on their favorite Nine West designs and complete their looks from "head to toe" with a flower crown. A custom "shoefie" station designed by Christy Doramus allowed attendees to easily take photos of their favorite shoe styles and creatively showcase what it means to #StandOut. GlamSquad was on-site for makeup and hair touch-ups and the brunch menu was curated and served by Hamptons local Jennifer Poto.